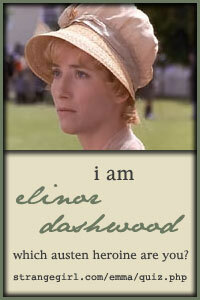 In January I began a Kay inspired Bookish Nostalgia feature that I call A look back. I’m revisiting my 2010 blogging life and see what was going on. So far, this has been a lot of fun! If you care to revisit your own blog in March 2010 and want to share your favorite post, I’ll add it here. In March 2010, I posted 23 times, reviewed 6 books, watched 6 movies, gave away 4 books and 1 puzzle, posted 4 quizzes, participated in 3 movie memes, wrote 4 War & Peace updates, and received 5 awards (I must say that I’m glad that those awards are not as prevalent these days). I even called for book donations for a worthy cause. My favorite pictures come from my favorite post, Walking San Francisco. It was so fun to read about the trip since I had forgotten about our plane woes both to and from San Francisco. Jason was there for a work conference so I spent much of the time exploring on my own. Love that city! 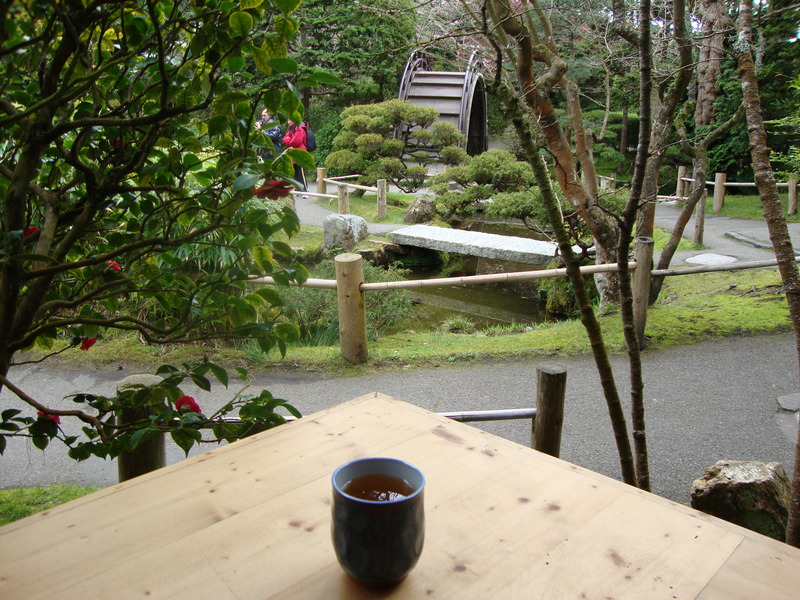 I sat at the Japanese Tea Garden in Golden Gate Park sipping my jasmine tea and contemplating motherhood, since I had only known I was pregnant for a few days. 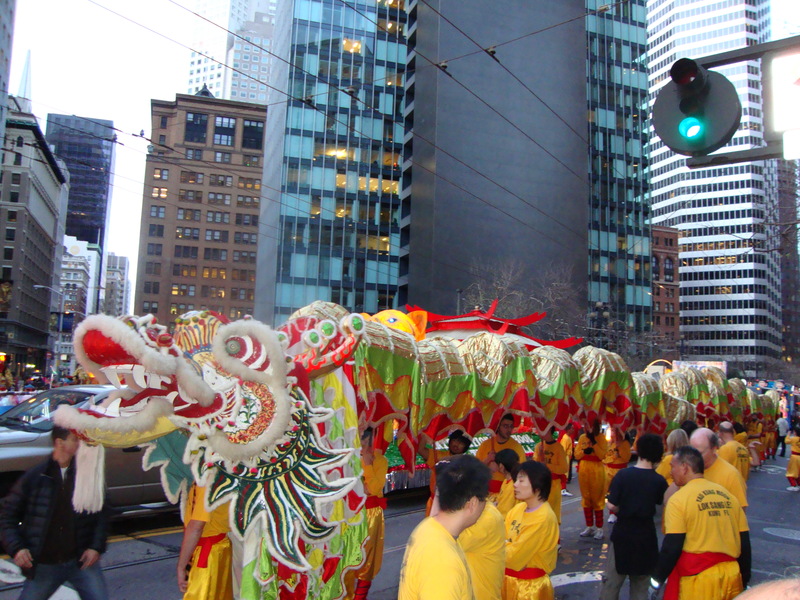 We made it just in time to catch some of the Chinese New Year parade! Gage is with us, barely 😉 Me, a bazillion pounds ago, and Jason, who never gains an ounce! Grade A. Endearing Robot Saves 2805 Earth. Favorite Book(s) – the Deadly series by Brenda Joyce. I did a re-read of this romantic suspense series that I liked so much set in 1902 New York. I reviewed books 6-8 of the 9 book series this month, Deadly Kisses, Deadly Illusions, Deadly Promise. So, please share! What was happening on your blog or what were you reading in March 2010? I’m so glad those awards have kind of gone away too. It was crazy how many were going around those first few years! Well, I can’t tell you about my blog because I didn’t start it until January, 2011. But I think the reminiscing is very cool. And the next time you have reason to come to the Bay Area, make sure to let me know. I would love to meet you in person! March 2010 was a great month for you! It is always fun looking back. My March 2010 was a busy blogging month for me. I celebrated three years with a giveaway. Posted 22 books thoughts. I also discovered a post Favorite Picture Books I did on my kids favorite books. They have all been dug out ready to read to the grandkids! My favorite books of the month were Under the Jolly Roger, book three in the Bloody Jack series, recommended to me by Dewey (creator of the Read-A-Thon) and The Absolutely True Diary of A Part-Time Indian. I read War and Peace because of your posts! I have yet to finish watching the recent mini-series. I am in agreement with you on the Awards. I love how easy it is in WP to go do a quick check: I was reading the book and then watching the film of Mrs. Palfrey at the Claremont (recommended) and prepping for ReadaThon. I also think I read my first Simon van Booy. I need to read more of his books!